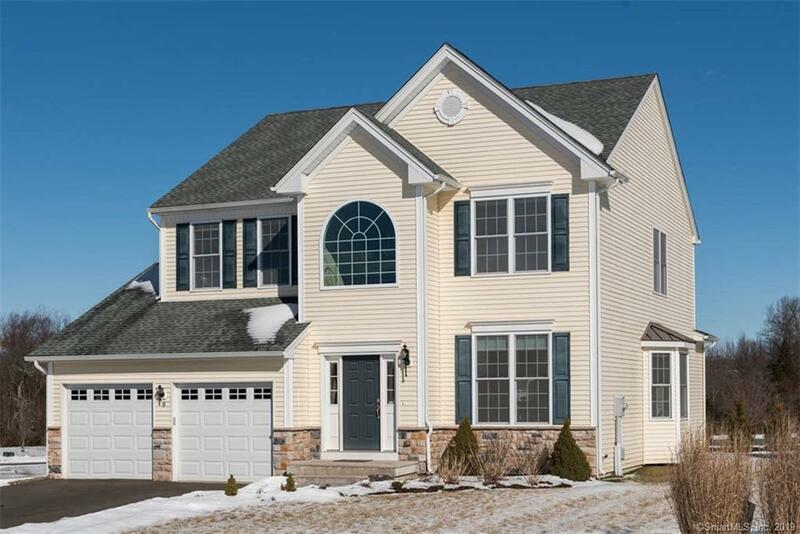 Sun filled almost new Toll Brothers 4 bedroom Contemporary Colonial with an open floor plan and 9 ft ceilings. Chefs kitchen with over sized island with granite counters, 5 burner gas stove with a vented hood. Kitchen opens to columned Family room w/gas fireplace and sliders to the stone patio. Living room and Dining room separated by columns and features a floor to ceiling Bay window & Hardwood floors, first floor laundry with sink. Luxurious Master w/hardwood floors and two walk-in closets. Master bath features a soaking tub, separate tile shower and double sinks with granite counters. Lovely detail thru-out including crown molding, wainscoting & recessed lighting. City Water, Sewer and Natural Gas. Quiet location in the neighborhood, close to Choate and Town Center on the East side of town. Laundry Room Location: 1st Floor Laundry With A Sink. Copyright © 2019 SmartMLS, Inc. All rights reserved. All information provided by the listing agent/broker is deemed reliable but is not guaranteed and should be independently verified. Information being provided is for consumers' personal, non-commercial use and may not be used for any purpose other than to identify prospective properties consumers may be interested in purchasing. Information last updated on 2019-04-22.